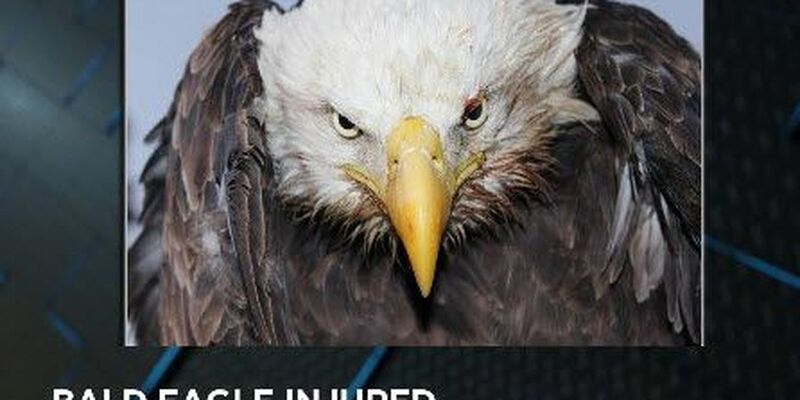 Bald eagle hit by vehicle in Pike Co.
PIKE CO., IN (WFIE) - A bald eagle is hit by a vehicle in Pike County. Indiana DNR District 7 posted these pictures of the eagle on its Facebook page. Conservation officers say the bald eagle was hit on State Road 57 near the White River Bridge. Three men helped secure the bird so it could be taken to a wildlife rehabilitator. The initial evaluation suggests a left leg injury. Conservation officers say the bald eagle will be taken to see a vet on Tuesday.